Bennidito’s Pizza is alive and cookin’ at both their South Hill and Indian Trail locations. On the South Hill, you could say they’ve become the neighborhood pizza place. After opening in 1996 as a carryout and delivery-only location, Bennidito’s expanded, more than doubling their space. Now a full dine-in restaurant, Bennidito’s on the South Hill offers families booth seating and sports seekers bar-style stools perfect for taking in a game. 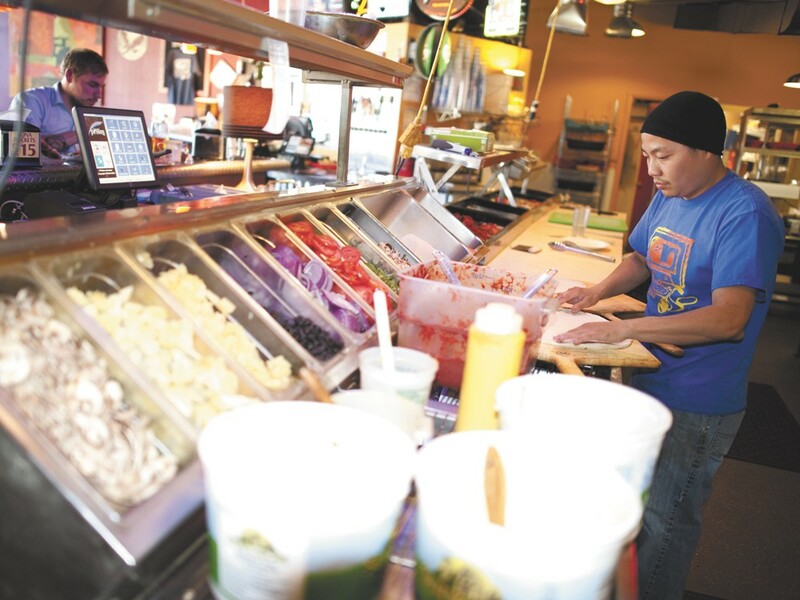 Jimmy Lo, a server and cook at Bennidito’s for nine years, says it’s a perfect place for any pizza lover, but accommodates everyone in the family with sandwich and pasta choices, too. The location also just began a beer club that any customer can sign up for at the bar. For every $5 spent on beer, you can get a free order of beer buddies, and later deals will include discounts on food and drinks. In addition, every time a new beer gets put on tap (every couple of weeks by Lo’s estimation) you get a text update.